in white items - perhaps they could be posted on a darker or colored background? I agree, it can be hard! If you click through the link to the store, sometimes there are other pictures etc. 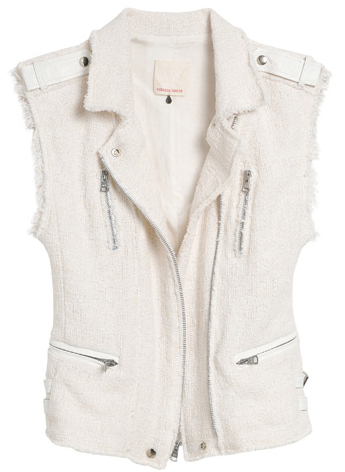 There is actually a video of this vest on a model (Shopbop often does this) which is pretty helpful!